Yes, last night was night of the maneaters - those poor boys just couldn't keep up! But beyond that, last night was kind of a snooze, huh? Actually, I have eyewitnesses that can attest to me falling asleep during a few performances. As our Top 10 dancers were stretched out of their comfort zones, there were more lows than highs, more boos than cheers. Everyone just seemed a bit... off. Even the judges were in a bit of a funk - seriously, Nigel, lay off Travis (more on that later). Of course, that's not to say that a few of our dancers didn't have some wonderful moments. Enough jibber jabber. Let's get to the dancing! 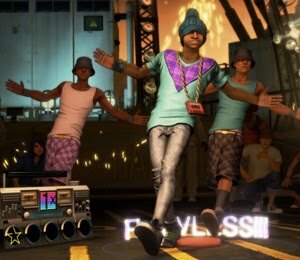 Blogging about a video game? Weird, I know. But hear me out - this one is pretty awesome. Are you in need of more runway disasters, designer auf'ing and Kors-ian bitchery in your life? Well, good news - the eighth season of Project Runway is set to premier on Lifetime on Thursday, July 29th @ 9pm/EST. After a horrifically disappointing ninth season and the departure of head judge and voice of reason Simon Cowell, it is generally accepted that American Idol has some serious changing to do: fewer and better judges, more relevant themes, shorter results nights... the list goes on and on. The good news - the folks at American Idol apparently agree and have begun announcing some changes. The bad news - they are not solving any problems. Looking at the picture (shown above) posted on the Scissor Sisters' Twitter account, my brain just about exploded. The Scissor Sisters and cast members from Glee together in the same room! They will all be appearing tonight on Friday Night with Jonathan Ross, a BBC One late night talk show featuring comedy, celebrities and music. According to the show's site, Glee stars Chris Colfer, Amber Riley and Matthew Morrison talk about their hopes for a UK tour and a Michael Jaskson-themed episode, while the Scissor Sisters promote their upcoming CD "Night Work." And then there were 10. The feeling of getting to the Top 10 this season is a bit different, after all it's only been a week, but there is still a sense that this group of dancers is an elite crop. The night brought some surprises, some let downs and whole lot of crazy - and that was just Usher's performance. Warning: SPOILERS creep around every corner ahead, so if you don't know who was eliminated last night, run away screaming now. And away we go! 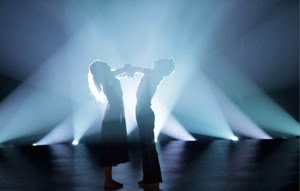 After what was certainly the shortest amount of audition episodes in recent history (far shorter than the three months of American Idol auditions), the live performances for So You Think You Can Dance Season 7 have begun. After all of the speculation of changes and All-Stars, we finally get to see what we came to see - dancers competing to be the best. 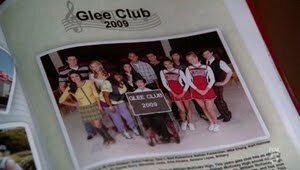 After spending a year with our favorite gleeks in New Directions, it's time to pass out the 2009-2010 yearbook, or, as it is called at William McKinley High School, the Thunderclap. The best part of any yearbook, of course, is the superlatives section - and here it is. Let's be honest. In 20 years when someone brings up Beyoncé Knowles, you will think of the "Single Ladies" video and how you tried, successfully or otherwise, to learn the dance (don't lie - there are plenty of YouTube videos to prove it). So after being in one of the most addicting music videos of the past decade, what's a girl to do? Get behind the camera and direct herself. 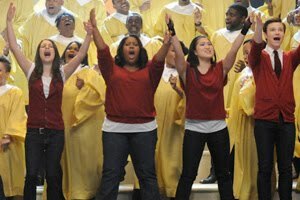 It's hard to believe it's only been a year since the birth of McKinley High School's New Directions and the Gleek Revolution. With four chart-topping albums, a nationwide tour and millions upon millions of fans, it doesn't feel like Glee only just finished its first season. After last fall's "Sectionals" mid-season finale we suffered through a harsh, cold winter, with only a bleak and tragically boring season of American Idol to keep us warm. April 13th did not come a second too soon and with "Hell-O," the back nine episodes began. Madonna! Gaga! Idina! Kurt's dad! Funk...? As with the fall, here are the Spring Superlatives. The best of the best. To be sure, there were some incredibly difficult decisions. The decisions were so difficult, in fact, that an Honorable Mention category has been added this time around. Chances are you probably won't agree with some (most? all?) of these recipients. But trust that just because it doesn't appear on this list doesn't mean that it isn't loved or that it won't appear in next week's full season yearbook (a.k.a. Thunderclap 2010). SPOILER ALERT! 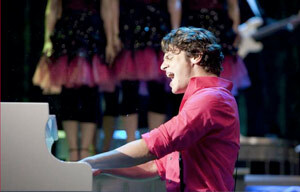 If you haven't watched last night's Glee season finale, "Journey," run away screaming now! Project Runway has undoubtedly had an interesting run as of late. Following a somewhat dull Season 5, in which characters such as villain Kenley Collins and leather loving Stella Zotis stood out more than any of the fashion, a major lawsuit over which network (Bravo or Lifetime) would air the series delayed Season 6. Once that season finally aired on Lifetime, it was, to put it nicely, a dud. Thankfully, after much promotion and changes, Season 7 brought the series back on track, combining colorful personalities (hello, Anthony Williams) with exciting fashion (hello, Seth Aaron Henderson). After a few years of unrest, all seems to be well in Project Runway land. Memorial Day Weekend has come and gone, as have most season finales (save for next week's Glee finale). DVRs across the nation are breathing a sigh of relief as they rest their weary circuits from a busy spring. Now's the time to get outside and enjoy the beauty of nature and the wonders of exercise! It's been over a month since Tyra Sanchez (a.k.a. America's Sweetheart "The Other Tyra") was crowned America's Next Drag Superstar in the Season 2 finale of RuPaul's Drag Race. For those of you who are itching for more extravaganza eleganza in your lives, help is on the way.